Nucleo João Lango Moura, 23/06/1981 | DMD/NJLM. On May 21st of this year, we commemorate the 35th anniversary of the foundation of the first Nucelo of the União do Vegetal in Acre; João Lango Moura. However, the history of the UDV in Acre began much earlier, in mid-1969, when Luiz Máximo Chaves, founder of Núcleo João Lango Moura, went to Porto Velho, disillusioned by doctors, in search of his health. In Porto Velho, he found himself with Mestre Raimundo Pereira da Paixão (Mestre Paixão) who took him to meet Mestre Gabriel and, after telling his story, he heard from him [Mestre Gabriel] the following phrase: “It took you coming here; you will no longer die from that.” These words elevated his hope and gave him the certainty that he would have all the support he needed in order to recover his health. 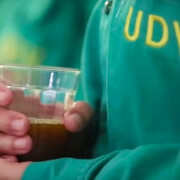 This is how the story of the UDV in Acre began, which is blended in with the story of Nucleo João Lango Moura and of its patriarch, Luiz Máximo, who at the beginning, realized the sessions by himself in his home, with only the verbal authorization given by Mestre Gabriel, until more brothers and sisters began to arrive. Alberto Furtado was the 1st to arrive. Afterwards, arrived the disciples José Alexandrino de Oliveira; Aquiles da Cruz; Odaiza Alexandrino de Oliveira Chaves (already the wife of Luiz Máximo); Januário Alexandrino de Oliveira; Antônia Alves da Silva; Antônio Ribeiro; Pedro Ribeiro; Francisco Suez Chaves da Cruz; Francisca Soares da Silva; José Airton Gutierrez do Nascimento; Raimundo Alexandrino; Maria Clarice; Carlos Ribeiro; Laurindo Alves da Costa; Otilia Alves de Oliveira, and others. Since the Vegetal was not yet prepared in Rio Branco, Luiz Máximo needed to go get it at the General Headquarters, still in Porto Velho, on trips via the highway; sometimes on top of trucks, which sometimes lasted many days, bringing back small quantities, until Mestre Raimundo Carneiro Braga (Mestre Braga), the General Representative Mestre of the UDV at the time, asked him to purchase a large container and authorizes him to take it back filled with the quantity that he needed, which was an important help in the development of this work. With the arrival of more brothers and sisters, the home of Brother Luiz Máximo could no longer house everybody, and so the sessions begin being realized at the Varandão Farm, a property of Luiz Máximo, where the project began to have a definitive place to realize the sessions there. At this farm, the first disciples had the idea to pick oranges and sell them to raise resources with which they would purchase the first three 30×10 meter lots of land on the Estrada do Mutum (Mutum Highway), where Núcleo João Lango Moura is located today. The farm was a place of great joy, with memorable sessions remembered by all who participated. The lots were purchased in the rural zone, with no access road, plumbing, or electrical energy – the brothers and sisters utilized lanterns to illuminate the area. The wood Temple was constructed there, with much struggle and determination, which shortly thereafter became too small for the quantity of brothers and sisters. Even with so many difficulties, such few resources, persecution, and discrimination, there was always joy and a full table at the encounters of those visionary brothers and sisters that sought after their own improvement and worked for better days. 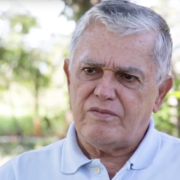 In approximately 1977, then Counselor José Florêncio de Carvalho (today mestre José Carvalho), from Nucleo Caupuri (Manus-AM), who drank Vegetal with his family in Rio Branco, helped in the process of administrative organization of the UDV in Acre, receiving authorization from Nucleo Caupuri to use their Tax ID number for the Distribution of Vegetal, and also bringing the Statutes of the UDV to be read in sessions, which brought more tranquility to the brotherhood, who at that time was still the target of constant investigation by police authorities. On November 17th, 1979, Luiz Máximo received the star of the Mestre, given by Mestre Braga. On May 21st, 1981, the Distribution of Vegetal transformed into a Nucleo, with the brick Temple being inaugurated on June 23rd of the same year, with the Nucleo’s first official directorate consisting of: President: José Airton Gutierrez do Nascimento; Vice-President: Alberto Furtado de Oliveira; First Secretary: Januário Alexandrino de Oliveira; Second Secretary: José Alexandrino de Oliveira; First Treasurer: Luiz Gonzaga Alves Filho; Second Treasurer: José Marcio de Araújo Rodrigues; Official Orator: Antonia Alves da Silva; Fiscal Council: Manoel da Cunha Lima, José da Silva Rodrigues, and Hiolanda Hojjmann Martins. While visiting Nucleo João Lango Moura in 1983, and seeing that the wood temple was already small for the number of associates, Mestre Florêncio Siqueira de Carvalho (Mestre Florêncio), who at that time was the Central Mestre, oriented that a larger and more comfortable place should be constructed for the sessions. Following the orientation that was received, men and women worked hard and built the brick temple in 28 days. Receiving help from many brothers and sisters and raising resources from the sale of cakes, raffles, and other activities at the local markets and other public spaces in Rio Branco, the temple was inaugurated on June 23, 1983 upon Mestre Florêncio’s return to Rio Branco. The brick Temple was constructed by men and women who worked without stopping for 28 days, receiving help from many brothers and sisters and raising funds through the sale of cakes, raffles, and other activities at local markets and in public spaces in Rio Branco. Many were the Mestres and brothers and sisters that helped at the beginning of this story. Among them stands out Mestre Paixão, who was the first to come to Rio Branco and whenever possible would spend many days teaching the brothers and sisters how to work with the Vegetal; Mestre Braga, Mestre Francisco Herculano de Oliveira (Mestre Herculano), and mestres Luís Maciel da Costa (in memorian) and Luiz Gonzaga Alves, who assisted mestre Luiz Máximo for many years. Nucleo João Lango Moura is considered the father of this Region because from this Nucleo were born other Nucleos and Distributions of Vegetal in the 7th and 17th Administrative Regions of the UDV. Currently, there are 18 Nucleos and Distributions (16 in Acre, one in Extrema-RO, and another in Envira-AM) with approximately 1,600 associates. Nucleo João Lango Moura is also present in the expansion of the UDV in the United States because some North American brothers and sisters drank the Vegetal in Nucleo João Lango Moura, and mestres Luiz Gonzaga and Luiz Maciel participated in the first UDV session realized in that country. It was also by means of the associates of Nucleo João Lango Moura that the acquisition of Seringal Novo Encanto was took place; an area of 8.125 hectares situated in the municipality of Lábrea-AM on the border with Acre. Due to the necessity to preserve this area, the Associação Novo Encanto de Desenvolvimento Ecológico (New Enchantment Association of Ecological Development) was created. 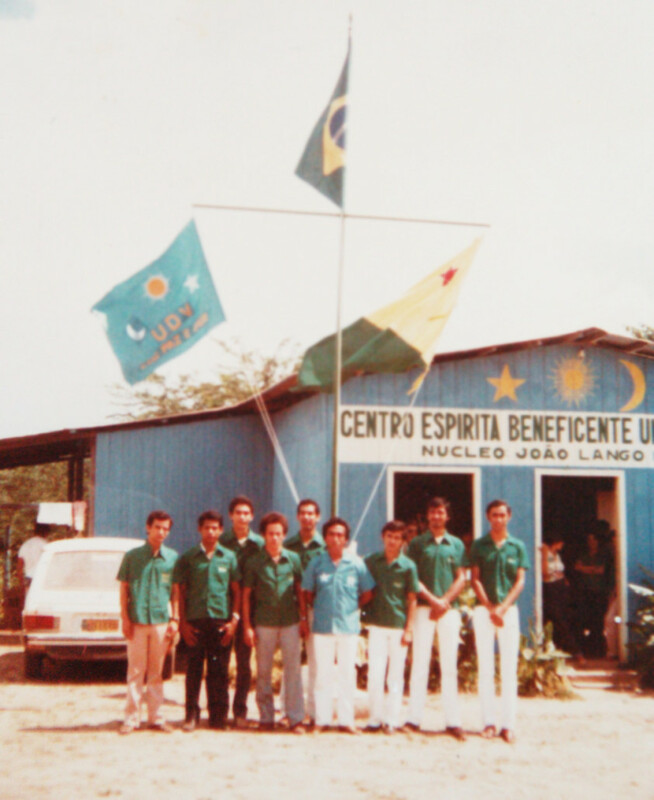 During these 35 years, many mestres, counselors, and disciples made large contributions, helping to maintain and improve the Nucleo’s installations, and contributing to the spiritual and familial formation of the brothers and sisters that passed through here. Therefore, it is also worth highlighting the work of Mestre Adamir, who came to Rio Branco during a very difficult time for this brotherhood and who, with his simple way of being and way of captivating, helped to once again equilibrate the brothers and sisters; he was a good teacher in this work and is constantly recognized by this brotherhood. Currently, Nucleo João Lango Moura has 13 brothers in the Cadre of Mestres, 38 in the Body of Council, and a total of 136 associates. It hosted the 17th Meeting of the Direction of the 7th Region on the weekend of its anniversary, which included the presence of the General Representative Mestre, Clóvis Cavalieri Rodrigues de Carvalho, Mestre Braga, Mestre Herculano, mestre Adolfo Mura, and mestre Tadeo Feijão, among the over 600 brothers and sisters present at the commemoration of its 35th anniversary. The Nucleo also received a round of applause from the Legislative Assembly of Acre for the relevant services is has provided throughout its existence. *Member of the Cadre of Mestres of Nucleo João Lango Moura and Regional Coordinator of the General Directorate of the 7th Region. **Member of the Body of Council of Núcleo João Lango Moura and Local Monitor of the Department of Memory and Documentation (DMD) of Nucleo João Lango Moura.